Hi everyone! 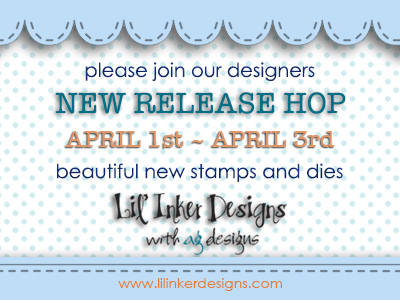 It's time for the Lil' Inker Designs new release! We have some great new dies and a fabulous set of sentiments for you!! You should have arrived here from Alyssa's blog. 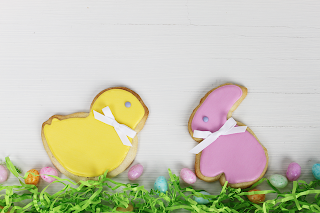 Today we are sharing new goodies in the form of dies for Mom and Dad! Oh these are the BOMB! You know what?? They are already available in the store HERE!!! Both of my cards are very simple but I think show off the die perfectly and I'm just pretty happy that I have 2 "Dad" cards ready to go whether it's for birthday or Father's Day.......leaving it just 'Dad' means you can use it for any occasion! 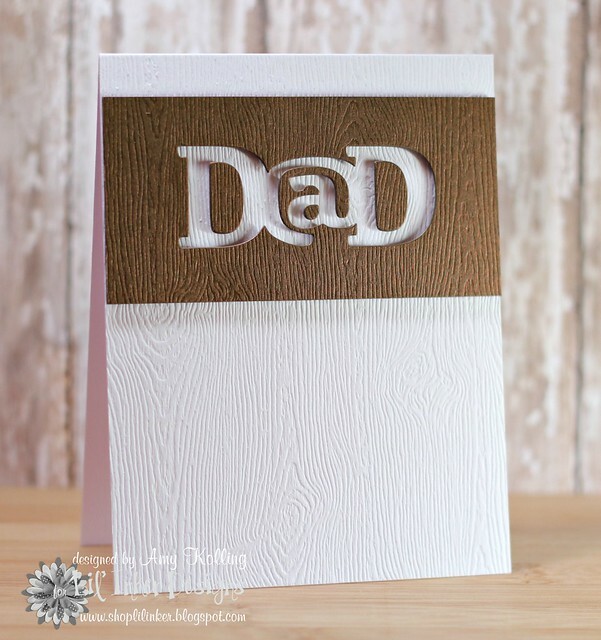 Using this fabulous woodgrain cardstock, I've die cut ' Dad' out of shimmer brown woodgrain cardstock and then used the negative layered over white woodgrain cardstock. This is perfect for my Dad who has designed cabinetry and built beautiful kitchen cabinets his whole career! 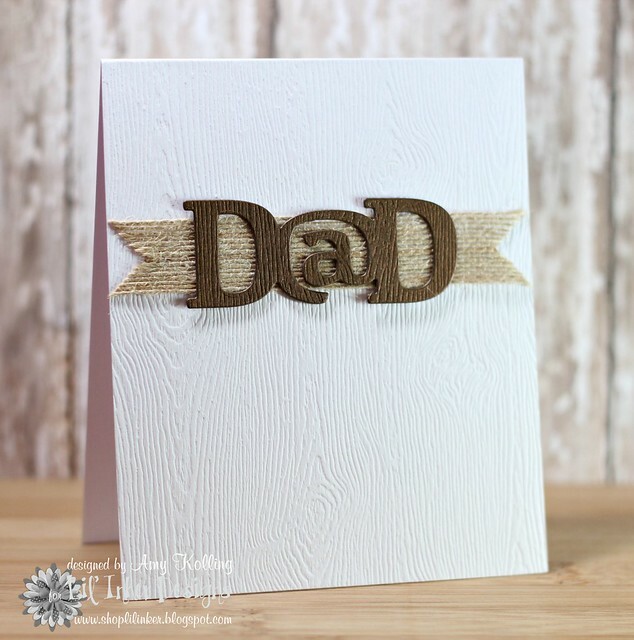 My second card uses the die cut word 'Dad' layered over some fun burlap ribbon I found out shopping......perfect for those guy cards! Just for hopping around during the Blog Hop, there are some store credits to be given away to some lucky people who leave comments! So now you need to head over to Debby's blog for some awesomeness. Welcome to the 12 Kits of Holidays!!!! This month we are hoping to bring Spring to you with the glorious colors and spring elements that were included in the kit. This month's kit was sent by none other than Tracey of In My Creative Opinion! Tracey sent some of the most colorful papers, embellishments, and die cut words. You already know that I fell in love with those die cut words! Thank you for such a fantastic spring kit! My first cards are for my kiddos for Easter........a little less traditional but oh so ever cutsey!!! They will love them! 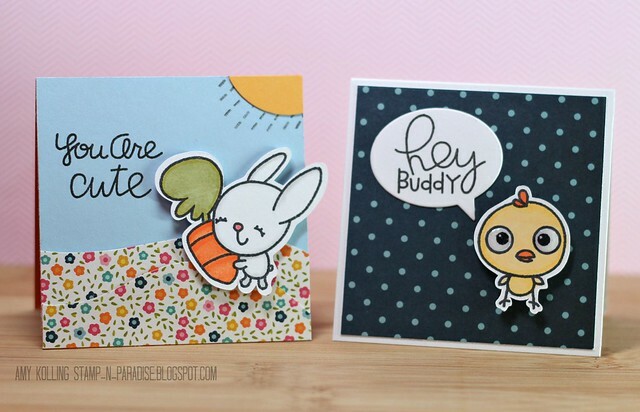 They use the adorable little images from Paper Smooches!! Next up are my cards using the AWESOME die cut words Tracey sent! I told you I loved them! 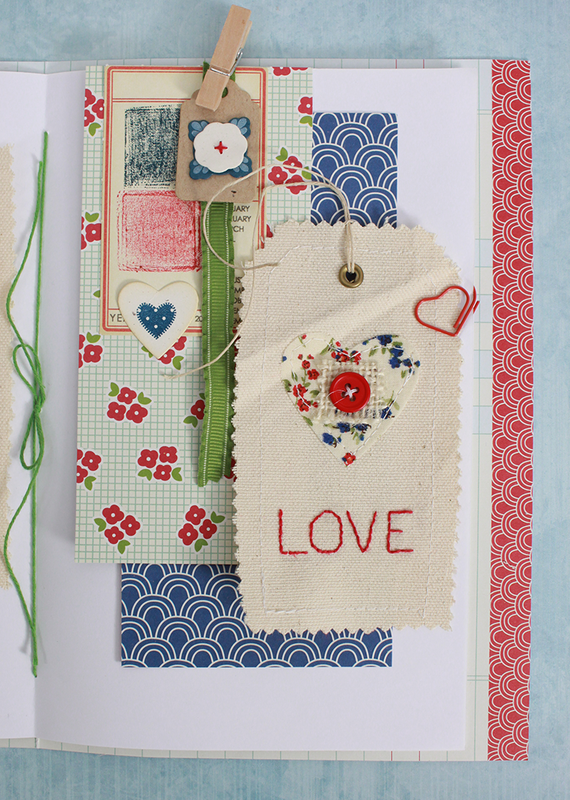 The first one I focused on the die cut and embellished the letter "i" with a Paper Smooches flower image. 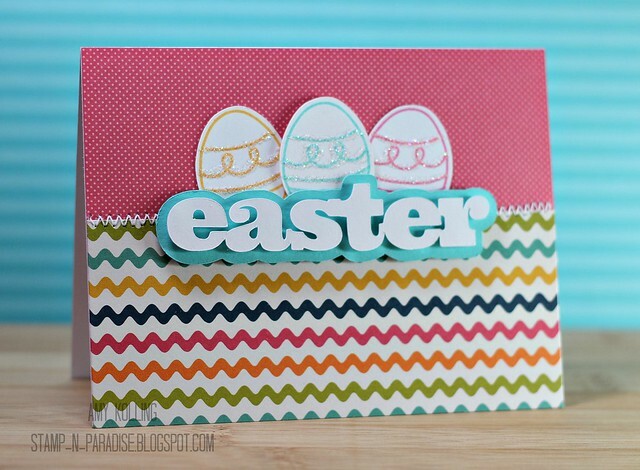 ﻿Then my last card uses the die cut word "easter" with a fun silhouette image to match! LOVE LOVE this! I stitched 2 pieces of this colorful paper together and also added in Paper Smooches die cut egg images! 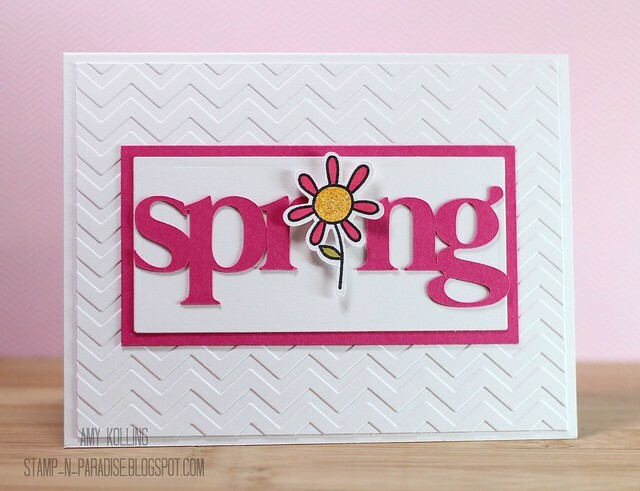 That's it from me today but let's go check out what the rest of the group made with this Spring kit!!! Make sure to stop by Tracey's blog for full supply list!!! 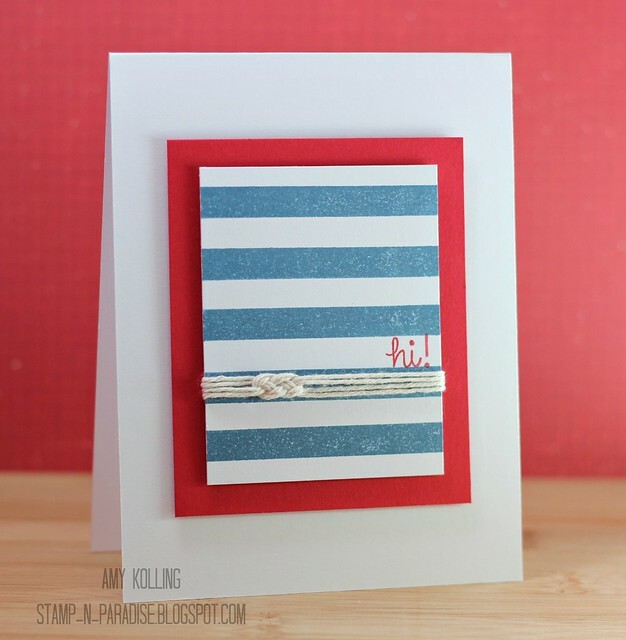 I'm linking up my cards for the Simon Says Stamp challenge this week: Anything Goes!! Today, I am heading to help my dad load up years and years of his and my mom's life. The last 8 years have been HARD......no doubt. Every time we go through boxes or I decide to bring something home that was hers, I get a little teary-eyed. Not of sadness but of wonder how our lives would be different right now if she were still here. My mom was an amazing woman......anyone that knew her would tell you this. So today, I'm going to spend some time with my memories before they go to auction next week. I know today will be HARD but my mom taught me well. I will get through this just as I have the last 8 years. 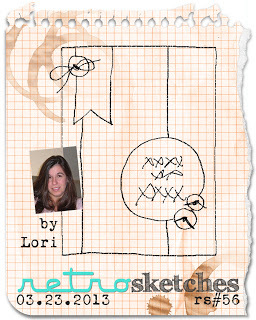 My card today uses the current Retro Sketches sketch which I just knew I had to make time to play along with this one! I love this sketch so much and it's already been filed away for later use. I've used Bloom & Grow and Making a Statement both from Verve......Verve's stamps have some of the best inspirational sentiments......like the one today! 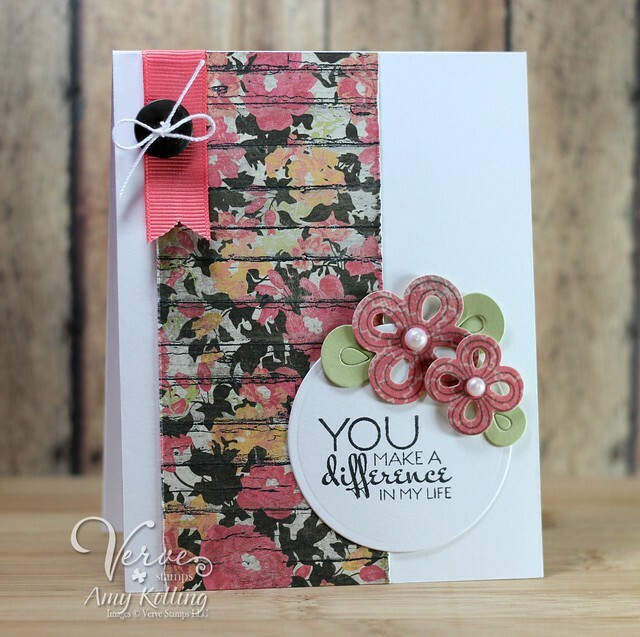 For my blooms, I used the fun Loopy Blooms die that coordinates with Making a Statement. Thank you all so much for sharing part of your day with me! 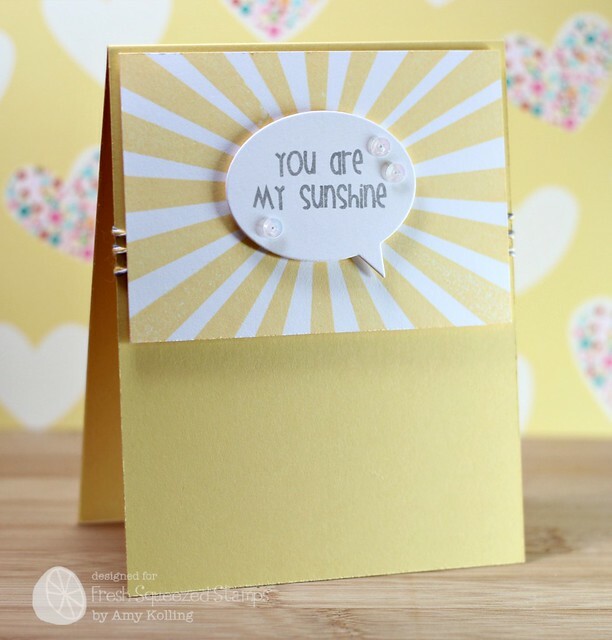 Sharing a card that I made for the Fresh Squeezed Stamps blog yesterday because we all need a little sunshine right now! Bring on Spring! I used Weather Through to stamp my rays and added a fun speech bubble to share my sentiment! I thought it needed a little something more so I added a few iridescent sequins! Here in the close-up you can see I wrapped some Cape Code Timeless Twine in the background. I'm going to send this over to the Speech Bubble Challenge at the Moxie Fab World blog! Thanks for sharing a part of your busy day with me! So this month's Avery Elle Challenge was using the inspiration photo below........a challenge indeed! 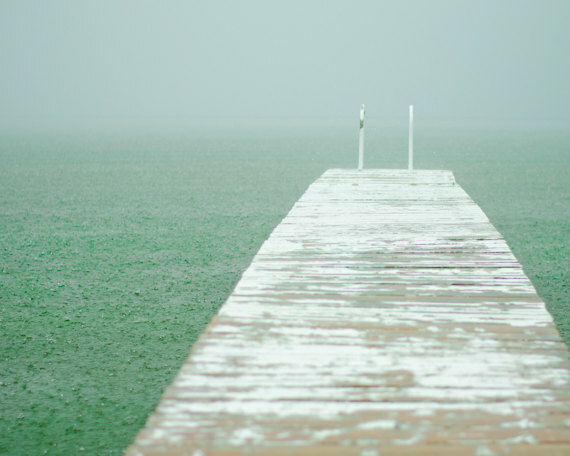 I was drawn to the colors, the weathered wood, and the ombre look. These are what I tried to incorporate into my card. 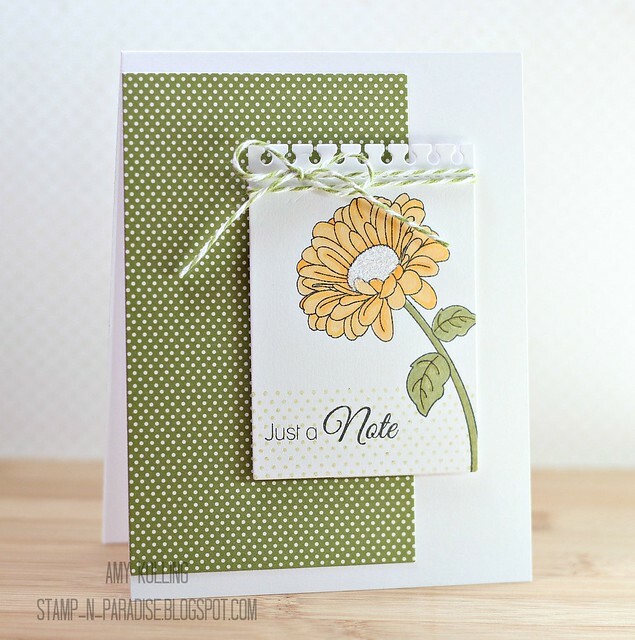 I stamped my florals onto Kraft and trimmed out and distressed the edges. I added Enamel Accents (white) to the flower centers for just a teeny bit of dimension. I loved the look of the weathered wood in the photo......so I trimmed down a square of burlap and distressed it with my white ink! My version of ombre was done using several shades of textured white core cardstock and then was sanded for the distressed look. And since this is my version of "ombre", I'm going to send this over to the Ombre Challenge at Moxie Fab World! Happy Sunday to you! We are laying low today as this is the last day of Spring Break however, it's certainly not felt that way! We had snow one day where it was forecasted to be 50! Anyway, the kids have enjoyed themselves and I've had time to craft! If you follow trends at all then you may know that all things 'NAUTICAL' are in. I've had this little idea in my head to do ever since Timeless Twine by Bella Creationz came out with their Natural Twine. Don't you just LOVE that tiny Sailor's Knot?? I DO.......a LOT! 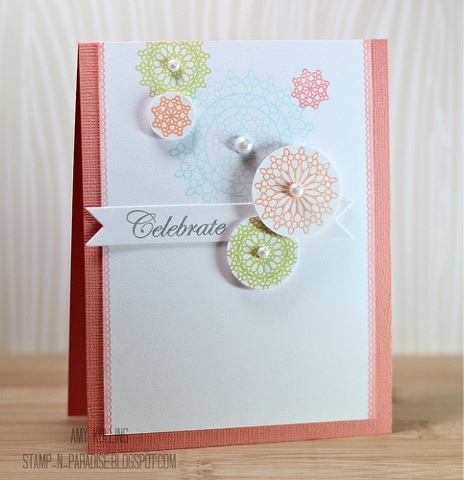 With the current release of Neat & Tangled's On the Strip 2 stamp set, this card came together soo easy! I actually stamped a larger striped panel and just trimmed down to size. My sentiment is selectively inked from the set: Just Hello. Now for that sailor's knot........you all know Pinterest. The site where hours upon hours of your day can go unaccounted for? 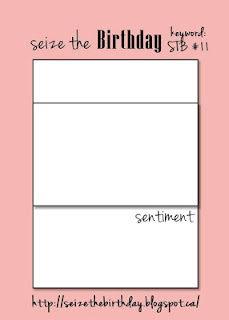 I used a tutorial found HERE however, I've made several of these years ago for a card so you can find sources pretty much anywhere on how to make these. 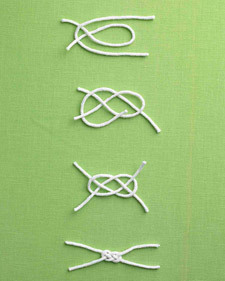 For my knot, I just used 4 equal strands of Natural Twine and followed this diagram! Well, that's it for me today, but I'd love to hear what you think about my card today because well, I kinda like it! Have a great Sunday! Hello! Today we head to do our taxes........we moved 8 years ago and still travel back to our hometown to do our taxes. (1 1/2 hr away) Call us crazy but it works as it gives us a chance to catch up with some of our friends we left behind. 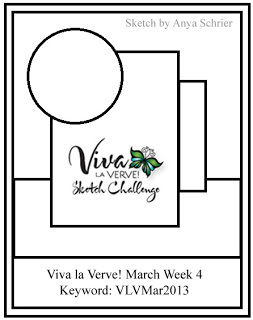 So, this week's Viva la Verve Sketch Challenge was hosted by Anya Schrier. What a fun sketch! As a rule, I generally don't do "tilted" on my cards but I instantly had an idea to change up this sketch! I recently purchased Echo Park's "All About A Boy" paper pad and decided to stray away from making a floral card...........see what you think. 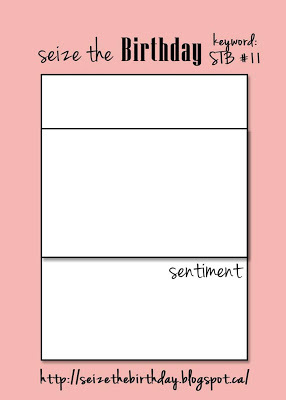 I've used Treasured Words for my Happy Birthday sentiment and the lightly stamped stars in the background are from Borderline. See all those sizses of die cut stars? They are the new die: Starry Die. I've layered the stars on the Rounded Scallop Frame cut twice to give it a two tone look! And looky........I've used BRADS! I think we'll see a revival of these and eyelets......I've got tons of them so let's hope so!! Thanks for sharing part of your day with me!!! Monday Mood Board 6 and a sketch! Just a quick post to share my take on the inspiration photo Dawn from Wplus9 provided for this week's Monday Mood Board. Easter........I don't really send Easter cards........so I went with a birthday theme and carried the colors from the inspiration photo to my florals. This card has been a work in progress since Wednesday morning! I stamped my floral panel (masking technique) but then was stuck! I finally narrowed everything down after talking with my friend Jen yesterday! She has a take on this photo as well and I can't wait to see her version! 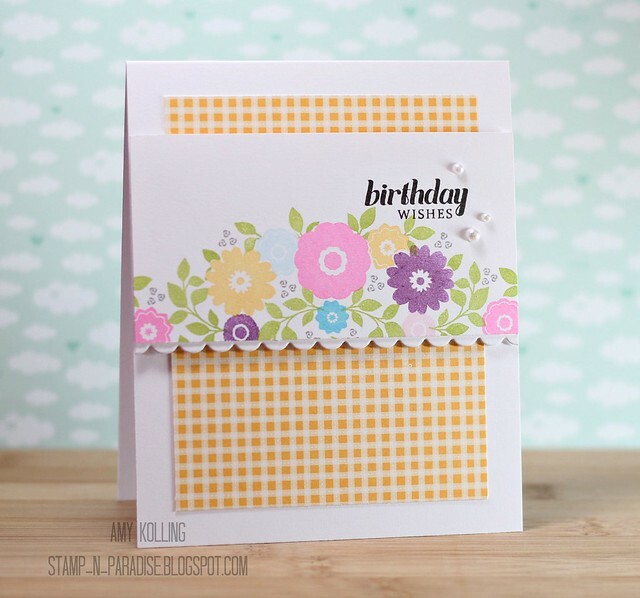 The sketch over at Seize the Birthday card challenge blog helped me pull this all together....this week it's a feminine birthday card! Thanks for sharing a tiny part of your day with me here! 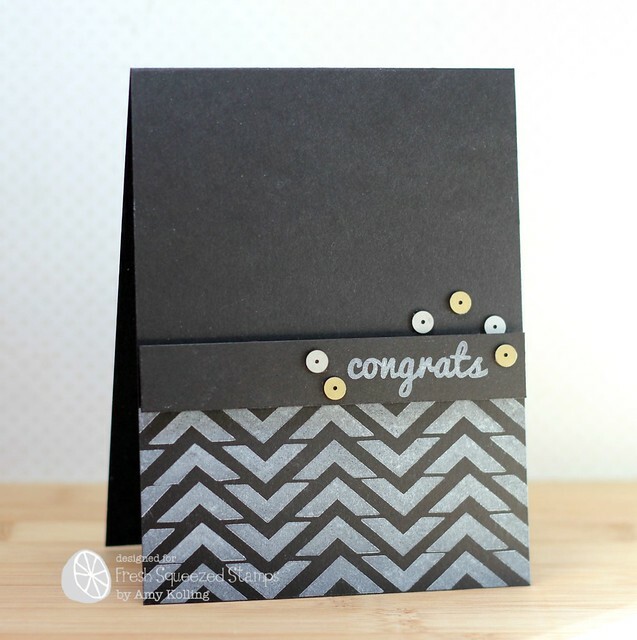 I don't know why or when but I've come to really really like "chevrons".......they are so trendy and fun! 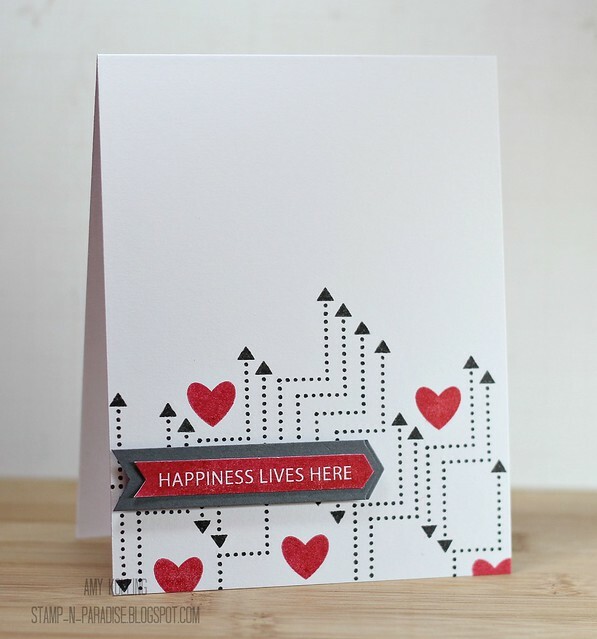 You may have seen this card over on the Fresh Squeezed Stamps blog yesterday but I just had to share it here as well! I've used the small arrow from Trendy Triangles to make my own chevrons! I stamped them in the pattern I wanted using Wplus9's White ink and it's ok if they don't stamp perfectly....gives them character! The sentiment is from You Said It, Sister......LOVE these sentiments!!! Adding in some flat backed sequins........just look what they added to the card! You can find these awesome sequins over at the Neat & Tangled store HERE.....Danielle has LOTS of colors to choose from! I'm going to send this over to the Chevron Challenge in the Moxie Fab World! Anyway, I wanted to share a card I made for the current Viva la Verve Sketch..........If you have Verve stamps, you need to be getting them inky! But wait! You don't even have to use Verve stamps people! Check out all the detail in full HERE on the master Viva la Verve Sketch Challenge thread over on SCS. Don't forget to check out how you can win some Verve too! The prize is good......really good! Who doesn't like to win some new goodies? My banner was die cut using the new dies: Flag It Die Set. 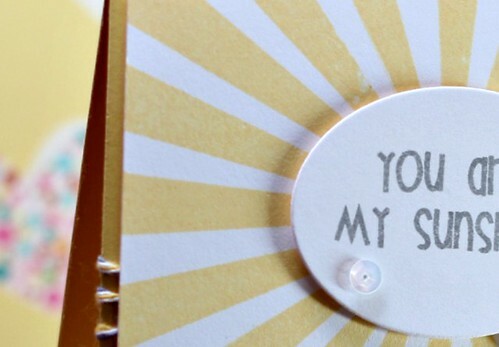 These are the best dies to give that extra little something to your card or layout. Thanks for sharing your day with me!!! Have a wonderful Wednesday! 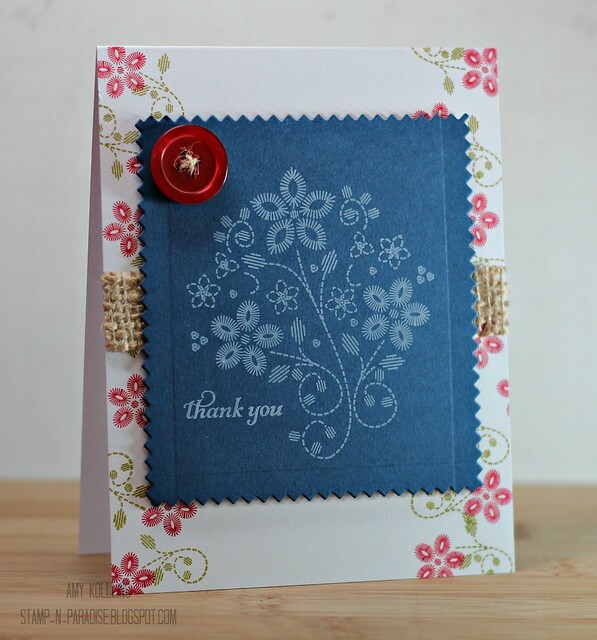 Stephanie has truly amazed me with her designs in the short time her stamp line has been out. 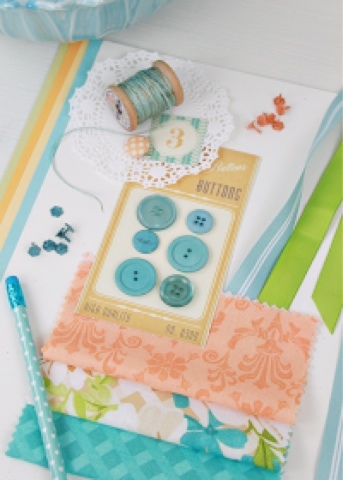 She has recently introduced matching dies for her stamp sets and if you know me, I LOVE coordinating products!!! I received these stamps some time ago and have just fallen in love. They stamp wonderful and the details are amazing. My first card uses With Love. Such beautiful floral images and equally pretty sentiments. Next up is an adorable set called Paired Up. There are 4 'pairs' of birds in this set and each is so different and unique. This set has gotten lots of use!!! I have more to share with these sets but I'll save them for another post! 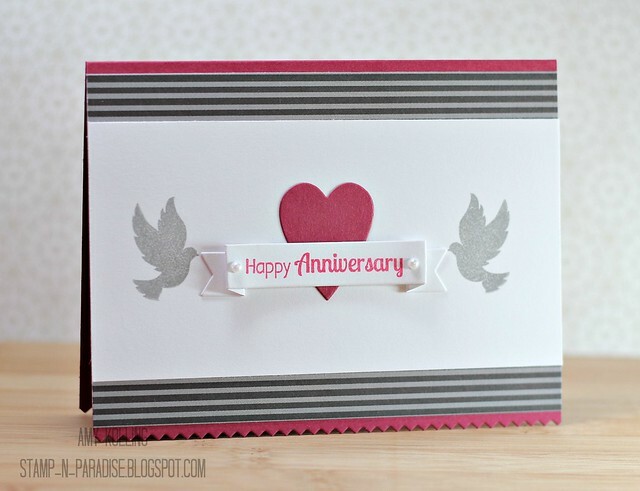 If you haven't checked out Clearly Besotted Stamps, I'd love for you to and tell Stephanie I sent you! 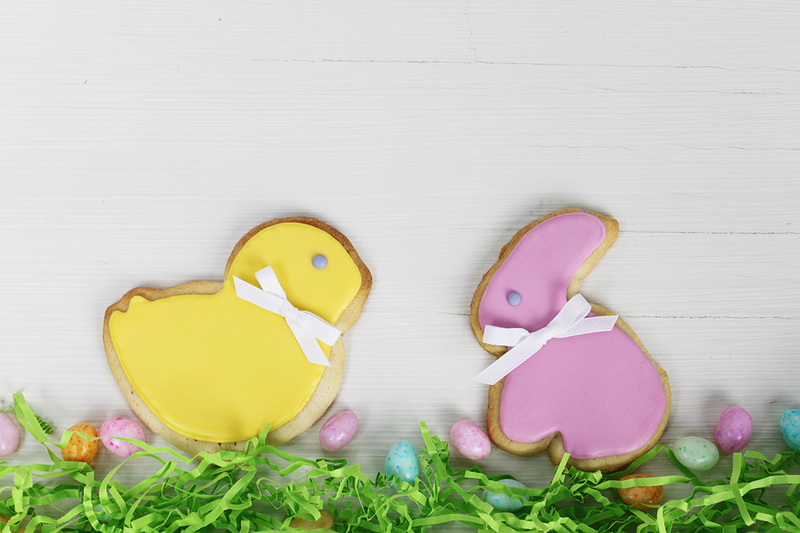 You can check them out on Facebook HERE or at Stephanie's blog HERE. Hi everyone! 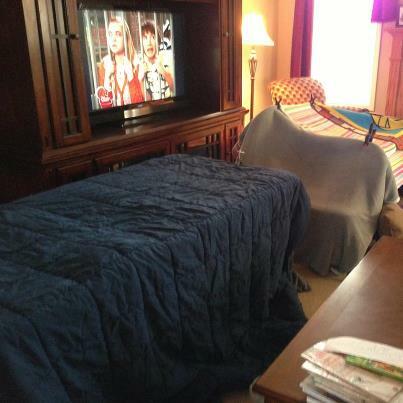 It's Monday.......Spring Break time at my house! 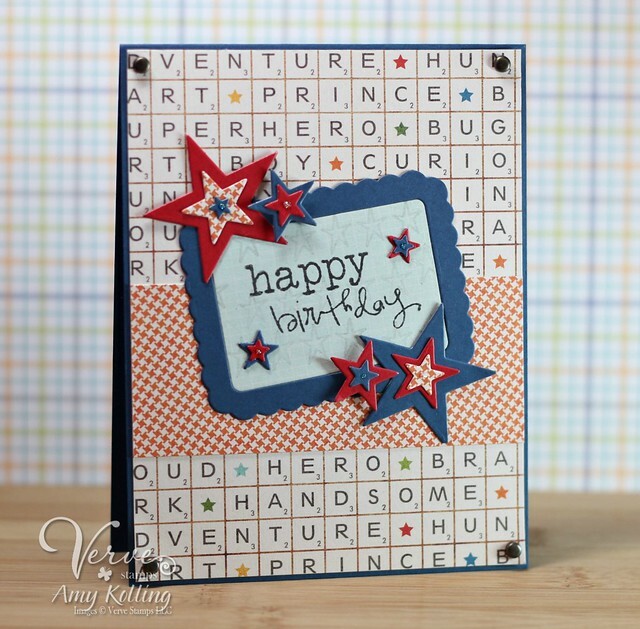 I have a sweet little "hello" card for you today using several Neat & Tangled stamps! I created my own plaid panel using the solid strip from the newest set: On the Strip 2 in kraft ink. Adding in a "hello" sentiment from Swirly Twirly Tags......stamped off and stamped again for the shadow effect. Spring Break is here! Yippee! No big plans here but I do get to enjoy 5 days with my kids for their Spring Break then off to Grandma's they go for a few! While yesterday was 87 degrees here......today is only to be in the 50's and will pretty much be like that for the rest of Spring Break. So, I'm hoping to get some movies watched, games played, and just enjoying them. Oh I did forget, we'll get to be in the annual St. Patrick's Day parade this morning to start off the weekend! Have a great one and thanks so much for visiting me today!!! Hi everyone! Have I ever mentioned that I am a late night stamper? Well, I am and right now, I should totally be in bed because I work tomorrow! 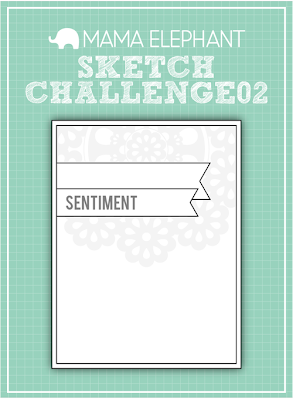 (at 0630) Anyway, I created this card using the sketch from Mama Elephant. I kinda have a crush on these stamps........and who wouldn't? 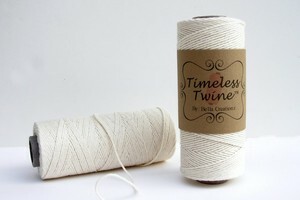 Timeless Twine & Some Odd Girl Blog Hop!